Starting Your Dropship Business On Instagram – Starting your first instagram marketing campaign . 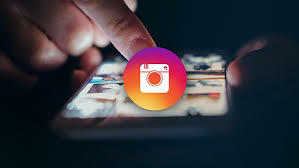 Instagram is a social networking app made for sharing photos and videos from your smartphone . Just like Facebook or Twitter, Instagram account has a profile and a news feed. When you post a photo or video on Instagram, it will be displayed on your profile. Users who follow(your followers) you will see your posts in their own feed and vice versa . Do you see the opportunity by marketing your dropshipping products in Insta ?I hope you do!